If you’ve attended a Manitou Winds concert, recently, you’ve no doubt experienced the wonderful voice of Emily Curtin Culler. Whether singing an aria from a Baroque cantata, a classic German lieder, or a traditional Irish lullaby, Emily’s voice has tremendous dynamic range and is tirelessly light on its feet. She is a consummate chamber musician who brings sensitivity and musicality to every performance. Emily came to northern Michigan by way of Boston. 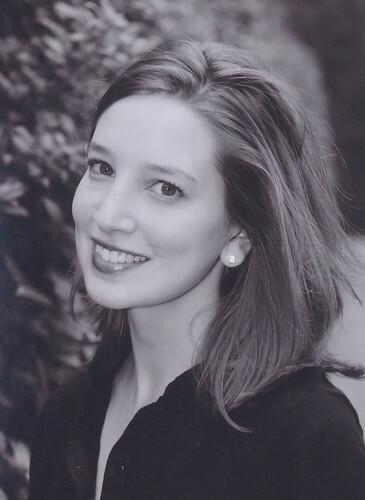 A soprano Choral Scholar with Boston University’s Marsh Chapel Choir, she performed weekly services for audiences throughout New England and around the globe via WBUR. An in-demand performer and avid interpreter of new music, Emily is also a non-profit and arts management professional. Presently, she is Leadership Annual Giving Manager at Interlochen Center for the Arts and Interlochen Public Radio. Last fall, when I began creating repertoire for “A Celtic Summertide”, I knew the program’s central element would be juxtaposing our instruments (most of which are not Celtic folk instruments) with traditional Celtic tunes. Since many of the tunes are also beloved folk songs, I couldn’t resist including a few of these. For a new collection of Irish Gaelic songs, I knew Emily was our ideal collaborator! 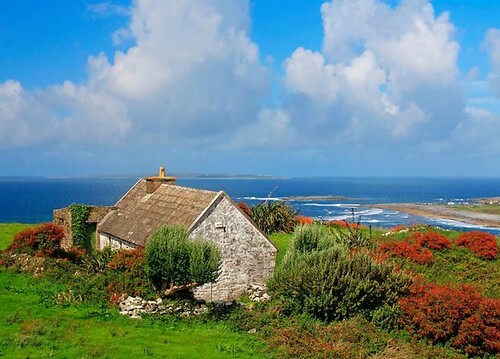 Trí Amhráin as Éirinn (Three Irish Songs) is a suite of three traditional Irish songs in modern settings for soprano and wind quintet. 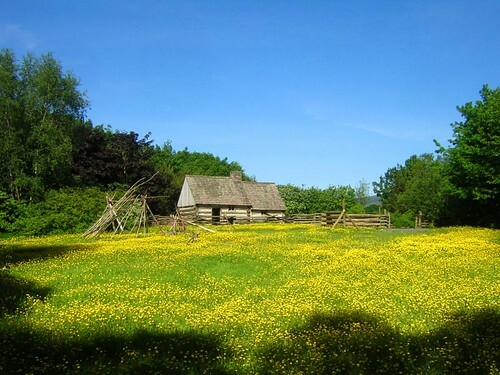 The opening song, Thugamar Féin an Samhradh Linn (We Brought the Summer with Us), is a centuries-old tune sung to celebrate May Day (Bealtaine) and the beginning of summertime. Suas gach cnoc is síos gach glean. Though sources claim the text and tune originated in early 15th-century Ulster in what is now primarily Northern Ireland, we can’t be certain. The precise age of the text and whether it was always married to this tune is also a matter of speculation as other versions exist alongside completely different tunes. The song was sung by young women and men performing as “Mummers” or beggars during the Bealtaine celebration. Roaming door to door singing, they would have offered garlands of hawthorn, holly, and flowers in exchange for food and other gifts. Their garlands were believed to ward off fairies (mischievous little people) and thus bring good fortune to the recipient when placed at the entrance of their home. I was inspired by the summery images in the stanzas (“yellow summer from the sunset…”, “the cuckoo and the lark are singing with pleasure…”) which were particularly inspiring in the dead of a northern Michigan winter. I also fell in love with the tune — it’s lilting phrases, for me, painted a lovely landscape of rolling hills and flowery glades. I employed the vivid colors of the wind quintet to bring these landscapes to life while parading the soprano’s line through them, spreading summer tidings. The second song, Seoithín Seo Hó (Hushaby), is a lullaby whose tune is believed to predate its text. The 20th-century song collector Eileen Costello noted in her 1919 anthology (Amhráin Mhuighe Seóla) that many believed the tune was sung by the Blessed Virgin to lull the Christ Child, and so it was traditionally sung without lyrics. Costello credits the text to a Rev. O’Kelly of Galway. In keeping with tradition, alternate stanzas of the Irish lullabies are often hummed rather than sung. While at first glance the lyrics are sweet and sentimental, one stanza warns that children are at risk of being abducted by fairies (a common theme in the folklore). Apparently, the fairies steal a child’s soul, exchanging it with an old or sickly fairy (a “changeling”) who inhabits the child’s body and soon dies. Faoi chaoin ré an earraigh ag imirt is spoirt. Playing sport under gentle rays of the spring moon. Wanting to draw him into their mound. 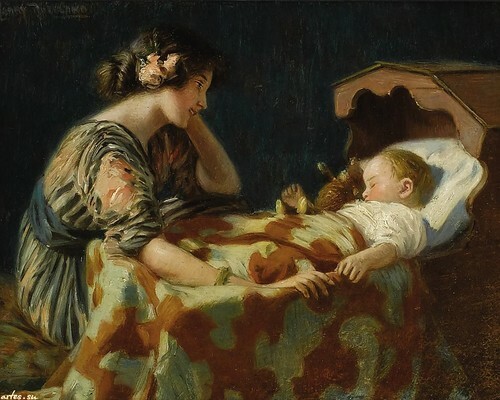 A number of Irish lullabies make mention of fairies as a way of coaxing children to close their eyes — it’s believed sleeping children can’t be lured away by wily fairies. Still, it’s hard to imagine easily falling asleep knowing your only protection is that your eyes are closed! In my setting of the lullaby, rather than capitalizing on the sinister fairies lying in wait on the roof, I chose to focus on the love poured out by this mother as she shares an intimate moment with what I imagine is her first child. Seoithín seo hó, mo stórín, mo leanbh. Mo sheoid gan cealg, mo chuid den tsaol mhór. Mo stórín ina leaba, a chodladh gan brón. Hushaby, my treasure, my baby. My jewel without deceit, my share of the big world. My treasure in his bed, asleep without care. Unlike most lullabies, the chorus of this tune has a “soaring” quality, naturally drawing out a crescendo (the opposite of what you’d want when lulling someone to sleep!). Rather than working against this natural tendency, I set the music so that the mother becomes so caught up in her joy she accidentally wakes the baby and then coaxes him back to sleep. The third and closing tune, Beidh Aonach Amárach (There Will Be a Fair Tomorrow), is a “dandling” song. Rather than telling a story, dandling songs are meant to be simply entertaining to sing due to the sound or rhythm of the lyrics. These are often used to amuse or distract children (in the US, popular examples of dandling songs might be “Pat-a-cake” or “The Itsy-Bitsy Spider”). Appropriately, the text in this song is a back-and-forth disagreement between daughter and mother. The daughter wants to go to the fair where she intends to marry the town’s shoemaker, but her mother won’t allow it… and the daughter’s pestering ensues! In my setting, I wanted to highlight the playful quality of the lyrics and tune rather than presenting the entire text (which traditionally contains ten or more verses). I also interjected a bit of theater by adding awkward pauses and some mocking on the daughter’s part. I crafted this entire song set with Emily’s voice in mind, and so I’ve dedicated it to her. Coaching her in the Irish Gaelic pronunciation as she painstakingly translated each syllable into IPA characters was great fun and a provided further encouragement for me to learn more about a language that has always fascinated me. Manitou Winds is honored to have her premiere this new work with us, adding her special signature to the performance!